22 My God sent His angel and shut the lions’ mouths. They have not hurt me, because He knows that I am not guilty, and because I have done nothing wrong to you, O king. I had someone call me for prayer for a court case. This person is being accused of something that they insist is not true. All I could think of is this scripture. If you’ve ever been lied on, it’s not fun. It can be a devastating blow. You are left searching for the why. I came to encourage you. Their (the roaring lions in people) mouths will be shut! When God knows you are innocent, HE will defend you. You may have to spend the night in the lion’s den, you may have to hear his roar, you may even have to smell his rancid breath BUT you will not be eaten. You won’t have to defend yourself or get upset. This lion has no teeth. It may seem like he’s about to devour you, it may seem like he will destroy you but it won’t happen. What’s all this noise really about? Why the need to try to destroy someone? 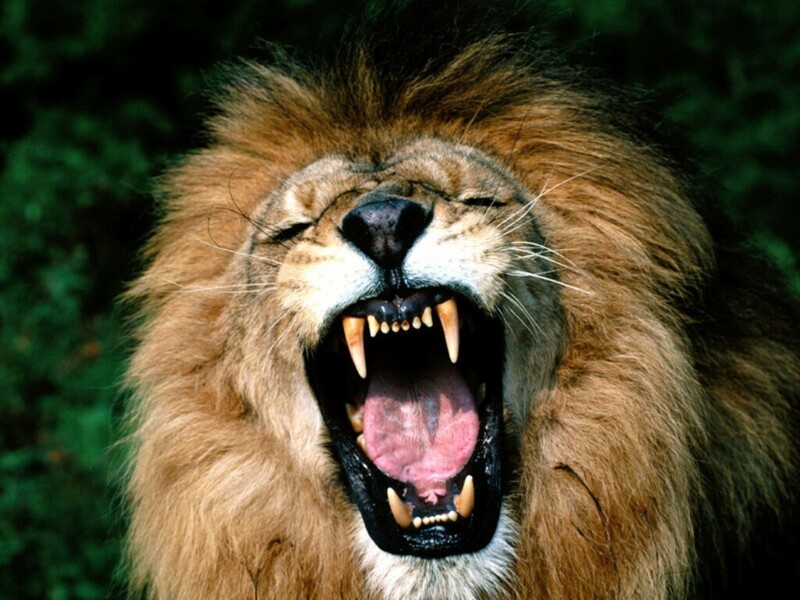 This lion is roaring so loudly because he is the one in pain. He is the one with a thorn in his paw. He wants you to feel the pain he is experiencing. He is unhappy and hurting. Your mission now is to pray for the lion, and watch God shut his mouth and ease his pain. Revenge is not necessary; your lion is miserable enough. You may not be the one who can pull out the thorn; but you can call on the one who can. The roar was never about you. The roar is a cry for help. OH MY GOD! Thats all I got! No need to expound. May God pour back in to you 100 fold for your labor! In His Majesty’s name, amen.